Customer churn is a costly toll on businesses. It’s not simply the lost revenue to consider, but also the added marketing expenses needed to rectify the loss. Retaining customers has historically been a lagging business indicator—it’s only after businesses lost customers that they could assess what went wrong—but with increasing access to data, several companies have developed predictive churn analysis capabilities to identify at-risk customers and proactively prevent them from leaving. With the increasing use of social media, digital transactions, and web-based customer support, the sheer volume of customer data available today is overwhelming. Customer data is often in less than ideal formats for analysis. Call data records might contain obscure code entries that would be better translated into user understandable text, for instance. Source data may have missing or poorly validated fields that require cleanup. For example, phone number data when entered by multiple users might have numerous combinations of dashes and parentheses that need to be made consistent. Data may be stored across several different locations, yet must be combined for effective churn analysis. Trifacta’s data wrangling software allows companies to better work with customer data for more effective churn analysis. With Trifacta, companies can quickly and easily standardize complex customer data into a workable format for analysis, reducing the typical time spent preparing data by up to 80%. Accelerate time to value – Trifacta’s unique technology creates a partnership between user and machine, with each side learning from the other and becoming smarter with experience. Every click, drag or select within Trifacta leads to a prediction, which accelerates the time to churn analysis. Create more accurate churn analysis – Trifacta presents automated visual representations of data based upon its content in the most compelling visual profile, which gives analysts a better understanding of their data. Detailed visual representations also allow for deeper data exploration, providing an automatic understanding of the data at its most granular level. Outliers and invalid data are easy to identify and correct, preventing faulty data from impacting downstream churn analysis. Empower customer experts to work with data – Trifacta’s easy to use interface makes it possible for the analysts most closely aligned with customer data to apply these changes themselves. This takes IT dependence out of the equation, and allows your company to more quickly adapt and find new insights that will make your churn analysis a success. Gaining a competitive advantage through churn analysis rests largely upon the ability to pinpoint your customers’ changing requirements, preferences, and actions. Trifacta’s unique technology significantly enhances the value of an enterprise’s customer churn data by enabling analysts to easily transform and enrich raw complex data into clean and structured formats for churn analysis. We’re excited to play a central role in the churn analysis of many of today’s top organizations. 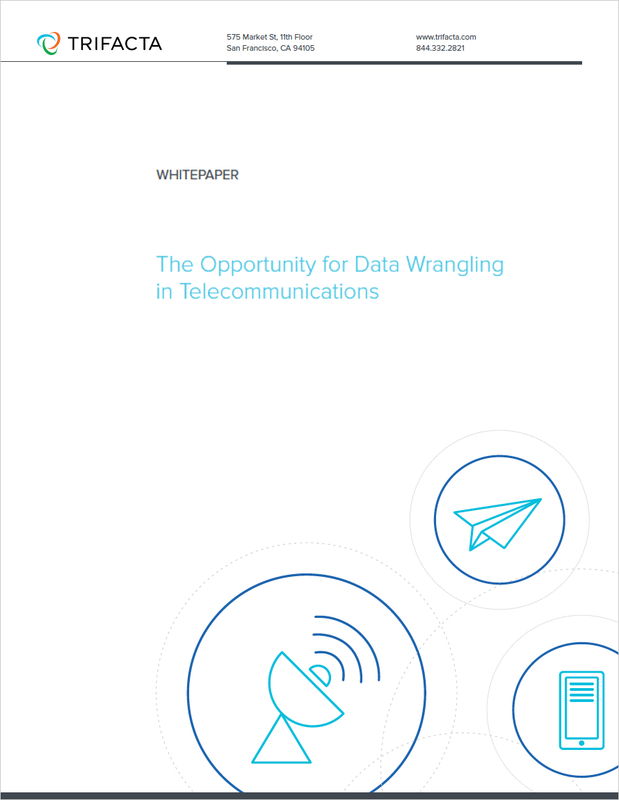 To learn more about how Trifacta can help drive new insights in churn analysis, download our white paper The Opportunity for Data Wrangling in Telecommunications.